Barbara Fae Ewell Jensen Davies returned to her Heavenly Father, early Monday morning April 30, 2018 at home with her family in West Jordan, Utah, due to heart failure, the result of which was a massive stroke. She was born in Draper, Utah the oldest child of William Lamar Ewell and Delone Leavitt. As a child she lived in Draper, Price, Latuda, Granite, Midvale, Sandy and Palmyra, Utah, Richmond, California and Las Vegas, Nevada. She graduated from Jordan High School in 1944. In 1945 she entered Brigham Young University where she met Vern Harmon Jensen. They were married in the Salt Lake Temple on March 27, 1946. Vern passed away unexpectedly on November 24, 1980 in LDS Hospital in Salt Lake City, Utah. Barbara was a devoted homemaker, raising six children and one foster Native American girl. Home base was Provo, Utah, where Vern was a BYU professor. The family also lived in Colorado, New Mexico, Tennessee, Virginia, and Texas where he accepted other teaching appointments. 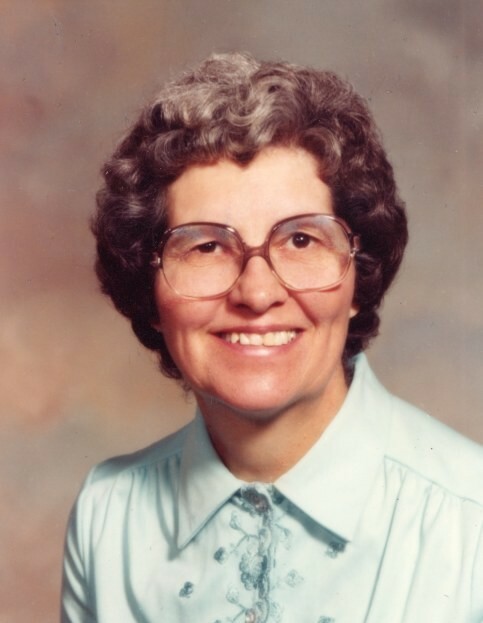 She was an active and faithful member of the Church of Jesus Christ of Latter Day Saints, serving in many callings, including Relief Society President in several different wards. She fulfilled an honorable mission to the Florida Ft. Lauderdale Mission (1981-1982). She worked in the Provo Temple for many years. She was an avid genealogist and family history buff. Words cannot fully describe the depth and solidarity of her testimony of the truths of the Gospel of Jesus Christ, His servants and the scriptures. She loved to read the Book of Mormon. Her resolve to live in consistent and faithful devotion was truly an example to her posterity and has had an immeasurable impact. After many years as a widow while living in the Seville Retirement Center in Orem, Utah, she met Joseph Kenneth Davies. Ken, a man of intellect and uncommon goodness, won her over. They married in Oct. 24, 2009. Their union (Ken & Barbie) has not only been a blessing to them, but to their children and all who have come to know them. She loved the beauty of everything. She loved to decorate her home. She loved to read. She loved to travel and went all over the world. She loved to meet with her BYU friends from Entre Nous. But most of all, she loved her husband and family! (Jennifer), Sandy, Utah, Lynn Oliver (Donnelle), Provo, Utah, Timothy Lee, (Sherril), Pleasant Grove, Utah, Loretta Greer (John), Lehi, Utah and Brian Vern, (Shanna), Mesa Arizona; step daughter- Tania Davies James (Rick), Taylorsville, Utah; 27 grandchildren and 45 great grandchildren; sister- Harriet Swapp (Ramon), Fairview, Utah and many cousins, nieces and nephews. Friends are invited to attend Barbara’s funeral services at the Edgewood LDS Ward, 3511 N. 180 E. Provo, Utah, on Saturday May 5, 2018 at 11:00 a.m. There will be a viewing at 9:30 to 10:45 preceding the funeral. Interment will be at the Provo City Cemetery. The family wishes to thank the hospice and other kind nurses at Legacy Taylorsville.